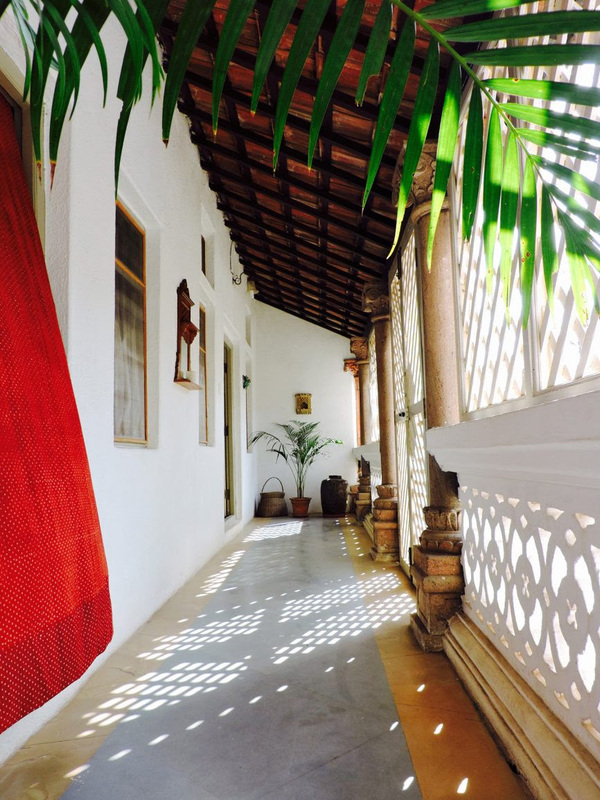 The Verandah at The Bhuj HouseWhat came out of the restoration was a magnificent 19th century home with tiled roof, large courtyard, an open pantry, multiple terraces, and a large kitchen. To ensure that the place had all modern-day comforts, ensuite bathrooms, Wi-Fi, and air conditioning were added, but without compromising on the vintage feel. 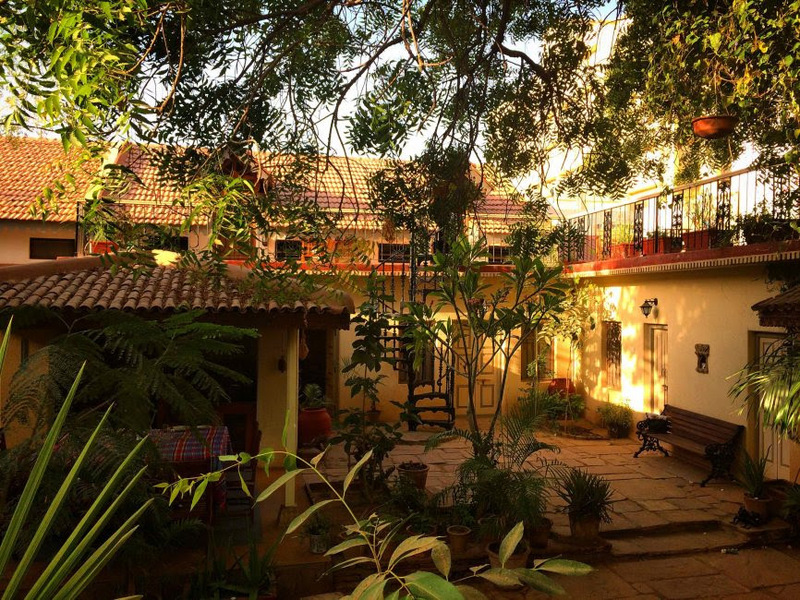 Spread over two floors, the homestay now has five rooms kitted out with antique furniture, crafts and textiles from local crafts persons, and the family’s personal belongings. An old gramophone complete with vinyl records, welcomes you in the front room. A vintage typewriter occupies the study table. The grandfather clock sits next to the grandfather’s picture on the wall, and the Hichka—a traditional Gujrati swing—adorns the Hichka Room. The Udvada Atash Behram, also known as the Iran Shah, “King of Iran”, is a temple in Udvada, Gujarat on the west coast of India. It is one of the eight fire temples of the Zoroastrian religion in the country. Lunch / Dinner – Rs. 220/- person. Pictures of the newly renovated Davier Dharamshala attached below.. I can proudly proclaim to be married into a bhakra loving family as l clearly remember my mother-in-law making bhakras in her Dahanu home every Sunday, cooling them and packing them in a big stainless steel box for her son. It was a ritual every Sunday evening, once all the other household work was done it was time to make Bhakras. A big thali was taken and all the ingredients were mixed with a heavy hand. My mother-in-law would instruct the maid to knead with a heavy hand and add according to the recipe in her head. She never used measured proportions yet the bhakras turned out delicious every time. Just opposite the Netarwalla Sanitorium and Agyari compound is the Dr.K.N. Bahadurji Memorial Sanatorium. The Sanatorium was inaugurated on 15th August 1902 and is specifically for Parsi/Irani community. It is spread over 12.5 acres of land, such a picturesque and sprawling property, once I enter I feel like Alice in Wonderland. The newly renovated Sanjan Sanatorium managed by WZOTF is now open. Make a reservation today for a weekend getaway with your family or a day trip with friends to enjoy the amazing food. Byram Dhalla, Saroosh Dinshaw and others! 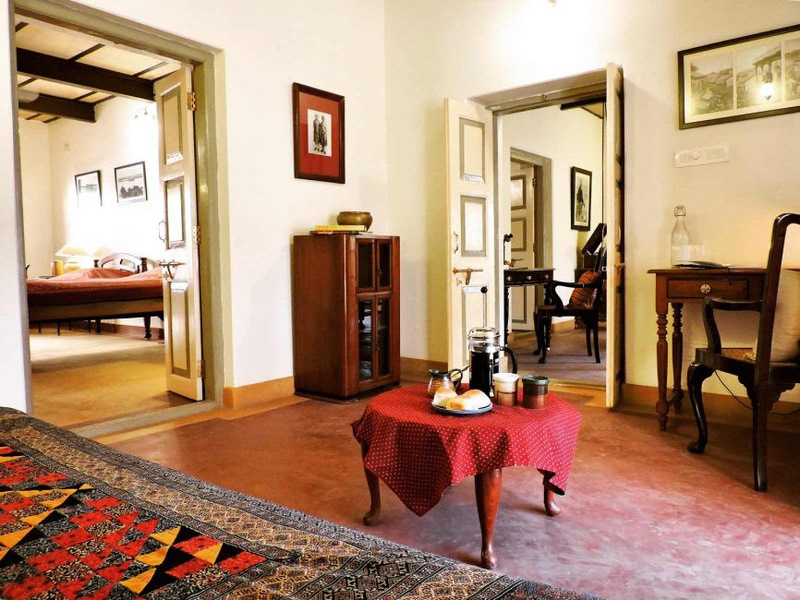 The Delhi Parsi Dharamshala is centrally located and offers comfortable and affordable accommodation in Delhi. Situated at Delhi Gate Metro Station, close to both the main railway stations, Connaught Place, Supreme Court, High Court and Pragati Maidan, it offers airy and spacious rooms that give you home-style comfort, equipped with modern amenities. We also offer special attractive rates for large groups for weddings and other functions, long stay for students and working professionals.